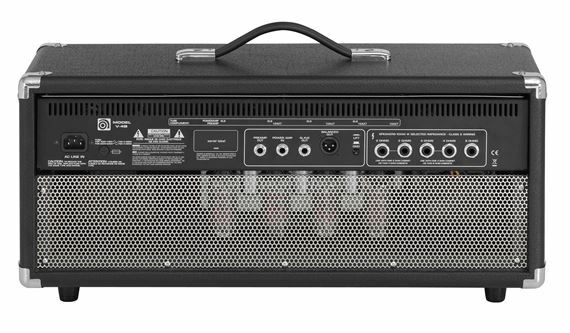 Shop Ampeg V4B All Tube Bass Amplifier Head from AMS with 0% Interest Payment Plans and Free Shipping. 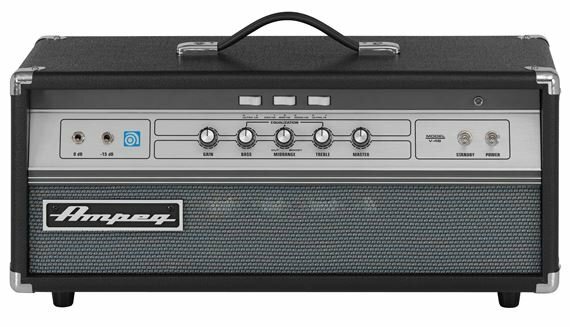 The Ampeg V-4B All-Tube Bass Amplifier Head brings back the remarkable all-tube tone of the legendary 1971 original by Ampeg! With this amp you can achieve that pure tube tone and unmistakable grind that made the original a true classic. 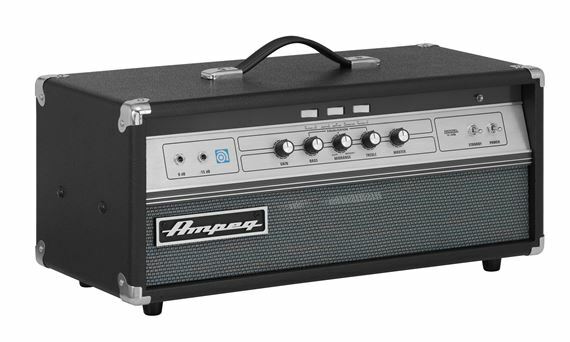 Ampeg gives the V-4B amp a set of modern features for today’s bassist as well as vintage looks. 100 watts of warm, dynamic tone is provided by four 6L6 power tubes, two 12AX7 preamp tubes, and one 12AX7 and one 12AU7 driver tubes. The tone is great, and has great power for the size. Sits well in the mix. Gotta love Ampeg!! Nothing else sounds like it. This is a great amp. Back in the day I played through a 90's Ampeg SVT-2 with an 8x10 cab and have always loved that Ampeg tone. A year ago I got back into music and purchased the V4B and the matching SVT 2x12 cab. I love both the tone and portability. While the V4B is obviously not the same, it's every bit as versatile and sounds great at low volumes while keeping the hum almost non-existant. Whether playing through a RIC 4003 or a P-bass, I can get booming lows, mid range grind grind, and/or clear cutting highs. The build quality is great and the price reasonable. My only complaint is at $1200, I wish it would have shipped with an amp cover. I was able to buy one separately...but it would have been nice not to. Not great as I hoped! The tone I have been looking for! 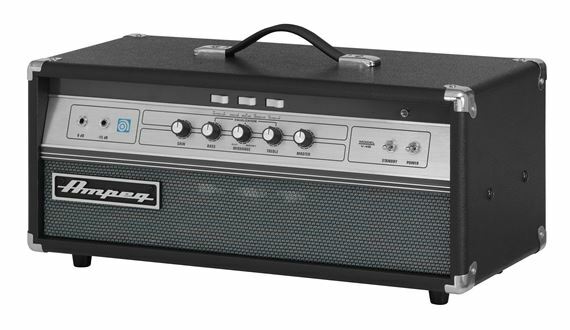 This is a wonderful "smaller" Ampeg tube amp. Still heavy (66 lbs), and it brings the heat. Have used it for one gig already, and people have already commented about how great it sounds. Also, the vintage look really stands out. This thing is a beast. The sound is incredible. I'm using the 2/12 cab with it. Happy happy. Cuts through nicely. Never abrasive. The entire bass fret board is held remarkably even. Sweet highs, funky mids, growly bottom....Very musical. Used this amp with TC electronic 2x12 and GK 15. Went through 4 bands in 6 hr. event. All were very impressed with the tone and playability. And "No, you cannot borrow it....Sweet amp. I have always wanted a tube amp and now I have that AWESOME TONE that I have chased for 30 years! I was concerned that 100 watts wasn't enough power but tubes are more like 300 solid state watts! I can get the awesome SVT tone in small venues without blowing the windows out. Being able to finance for a few months is great too! it's fantastic I'm so glad Ampeg brought back the V-4B ! Its Heavy, But its great! This think packs the punch! Perfect sound quality! simple to to use. Its awesome! Push this thing and get amazed every time.